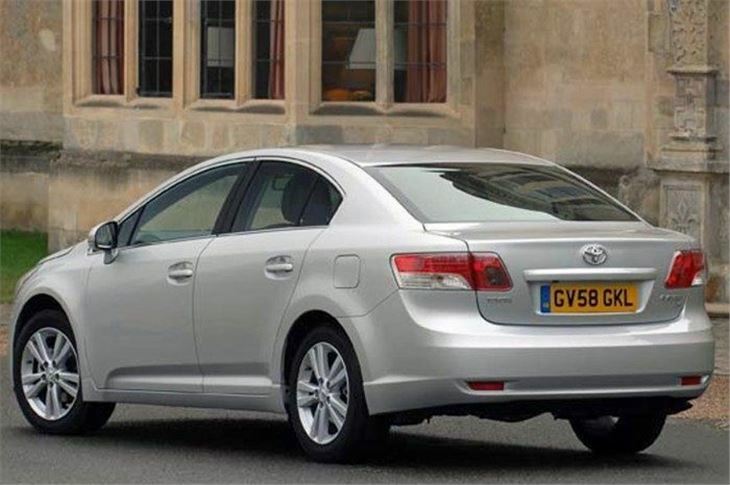 This is the new, leaner, greener Toyota Avensis. 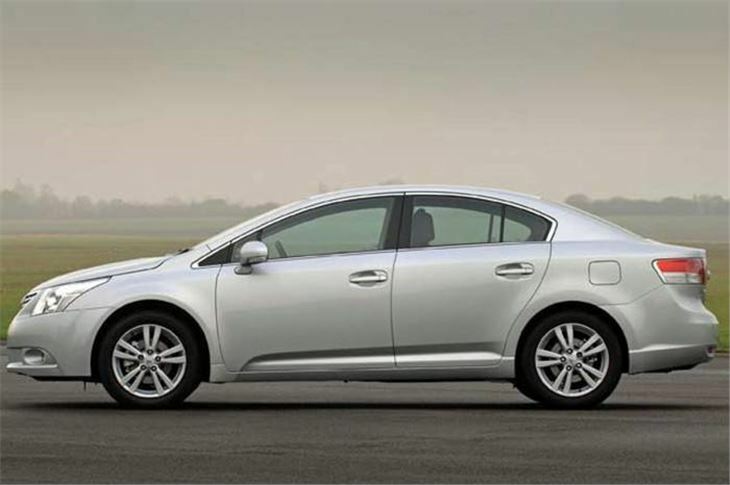 With new, more powerful, and higher revving, yet more economical, lower emission petrol engines, while diesel engines develop more torque at lower revs to give better real world economy. It looks a bit like the latest Corolla Altis, as seen in Bangkok with a welcome red taxi light. 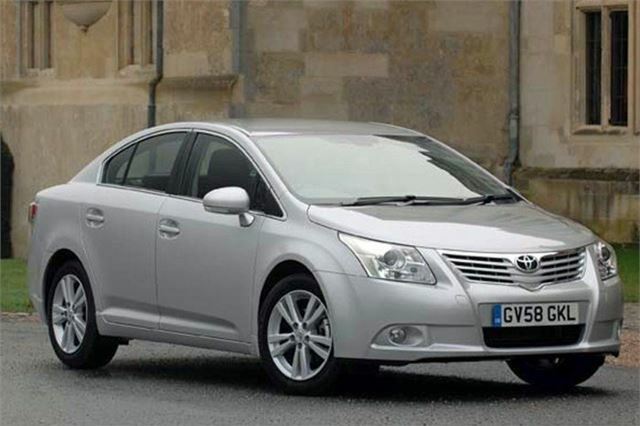 Instead of the old bullnose of the previous Avensis, Yaris, Aygo and Hilux, it has acquired a facsimilie of the front of the larger Camry. Not exactly like the Altis, though. 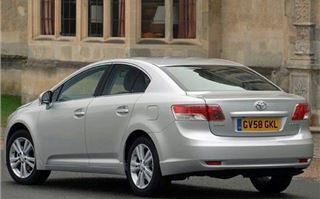 The English built Avensis has a bigger grille extending all the way to the front end of the bonnet. 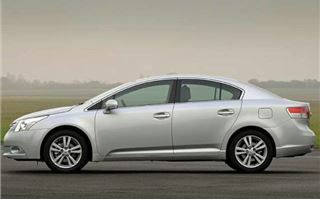 Anyone wanting to sell cars in Europe now has to meet an overall fleet average of 130g/km CO2 by 2012. On current projections, helped by the ultra low emitting IQ and Aygo, Toyota is on course for 140g/km in 2009, so, along with Honda, is better placed than most to meet the 130g/km limit without incurring EC fines. We kicked off with the 2.2D-4 150 6-speed automatic Tourer, a combination that won’t be available in the UK until Spring 2009, but which is nevertheless a match that a lot of private buyers want, despite its company car unfriendly 174g/km CO2. It’s a very sweet, obedient autobox that can be paddleshifted when you want either by locking it in paddleshift mode, or simply taking over from straightforward ‘D’. And it’s a quiet, pleasant, motorway cruiser, though I don’t recommend the 18” wheels with 245/45 tyres that feed every pothole, speed hump and ride through to the cabin. It feels, and is, a more compact car than the Honda Accord Tourer diesel automatic, or the Mondeo estate, though the Mondeo definitely rides and handles better even on 245/45 x 18s. 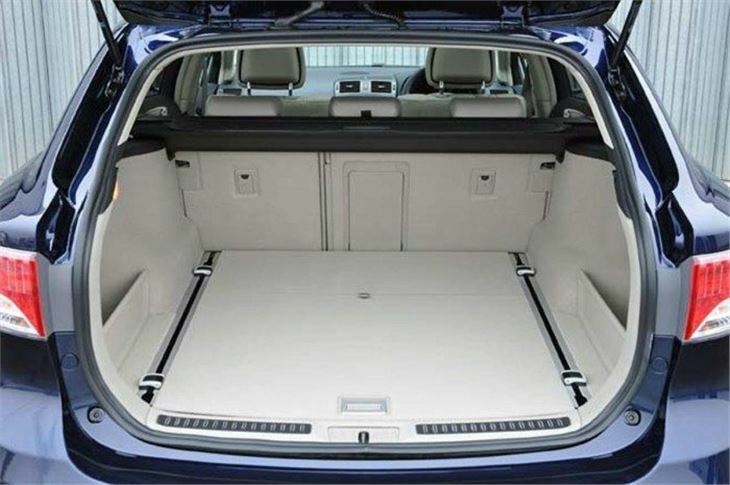 It has a nice, long, protrusion-free luggage deck with indentations at the back for golfers to stow their clubs. 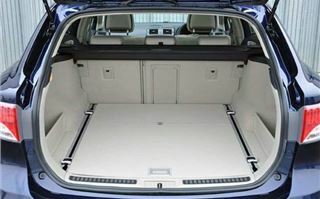 But, though the seatbacks flop down in one easy movement, the luggage cover cassette and dog guard are as fingernailbreakingly difficult to remove as in an Audi A4 Avant. Toyota designers could have taken a look at the excellent, fuss-free ‘Karakuri’ luggage cover and seat folding system in the new Mazda 6. 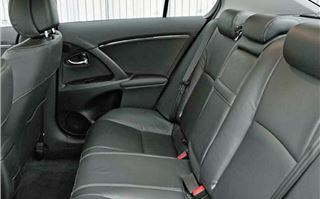 And our car was upholstered in cream carpet which, while nice to look at and feel, I doubt many families will find a very dog friendly choice. 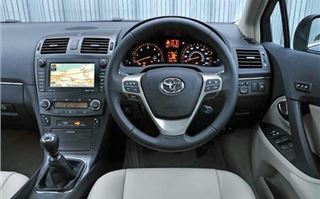 All new Avensis have an electric motorised parking brake, operated by a switch slightly awkwardly placed under the dash to the right of the steering wheel. It requires you to push it, counter intuitively to lock the brakes, then pull to switch them off. But, get used to it, and it does disengage as you drive off, so that’s no real hardship. Having thought diesel was the way to go, our real surprise was the next car we drove, a one-up-from-base TR spec 1.8 Valvematic manual. This is a new chain-cam engine that, as well as having variable valve timing also has continuously variable lift for the intake valves by means of a screw thread actuator mechanism. 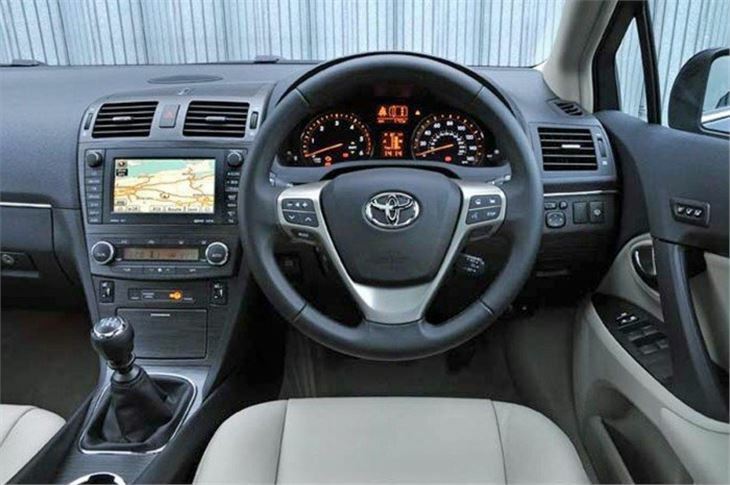 This allows more precise control of the flow of air into the engine giving multiple benefits of improved fuel efficiency, lower emissions, increased power and better engine response. You both have your cake and get to eat it. The engine is incredibly smooth, almost inaudible at idle, and really good to drive, making the car (on sensible 215/55 x 17 tyres) a pleasant, relaxed cruiser pulling a high (for a petrol car) 28mph per 1,000rpm in top. It handles well too. 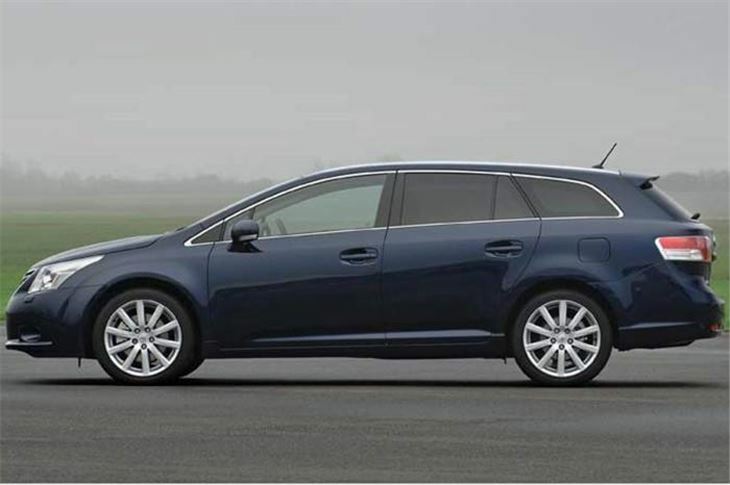 Better, in fact, than the diesel Tourer on its 245/45 x 18s. 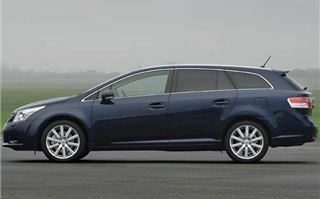 So, at a list price of £17,470 (£18,450 for the Tourer) it’s probably the best 1.8 petrol you could run as a company car. We did a fuel check and worked out we’d actually got over 40mpg over around 160 miles of test route involving all kinds of terrain and traffic, together with rain, mist and snow. So why pay more for a diesel that runs on more expensive fuel and doesn’t provide any tangible benefit? I embarked on this test wondering what I was going to be able to say about what at first appeared to be a very ordinary family repmobile. I ended it rating the 1.8 Valvematic as the best 1.8 in its class, especially for anyone allowed some say in what the company provides for them. 18% BIK, decent to drive, pleasant to ride in. You’re laughing all the way to your next tax return.